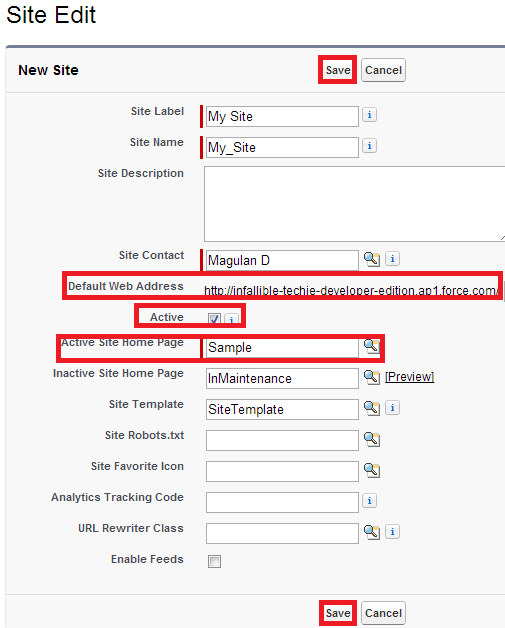 Force.com Sites is mainly used when we want to publish our data to the world using Visualforce pages. Force.com Sites also allows you to authenticate access to specific pages that expose data from your internal database. 1. 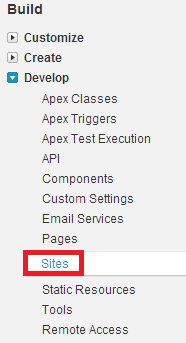 Go to Setup --> Build --> Develop --> Sites. 3. Enter the details and click "Save" button. 4. Use the default web address to open the site. Note: Kindly open the default web address in some other browser to view it.